** spoiler alert ** I read this book in one sitting. Could. not. put. it. down! It helped that the whole book was only 146 pages but still, it's completely engrossing and provided a very insightful peek into the mechanics of a mentally unstable persons brain. 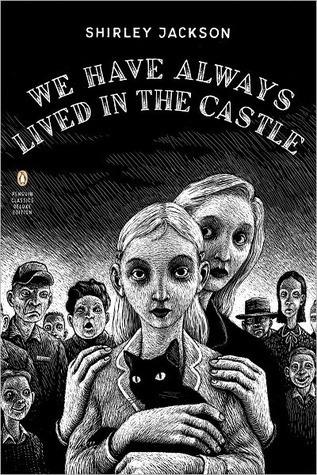 How did Shirley Jackson write this genre so well? Was she slightly crazy herself?? Young Merricat was one twisted girl. I kept thinking I should totally hate her as a character ~after what she did to her family, are you kidding me? ~ but somehow I don't???? Maybe I'm the twisted one?! Like everyone slightly mad (or more than slightly) she's genius at manipulating her world to get everyone and everything set up to suit her needs. She loves her sister Constance. And only her sister. Wait ~ her cat too ~ but that's seriously the scope of her affections. It's all about getting Constance to herself. She shrewdly recognized the dangers the outside world presented to that goal and set about protecting herself & her family from any interference. Making sure they're "locked in," that the fence is secure, burying her little curses/charms around the property, etc. It's the perfect situation for a psychopath too since her sister has an anxiety disorder and doesn't/can't/won't leave the property. In the end, Merricat gets her wish although it's so sad to see what the town people do to their home (and all their heirlooms) plus heartbreaking that it's at the expense of her sister having any chance at a normal life. As much as I felt for Constance, I did not want her to get sucked in & taken advantage of by her gold digging cousin Charles. Easy to tell he was bad news from the moment he set foot on their estate. So gross. But childlike of Merricat, to not recognize the danger of fire that fateful night. Also, confused a bit about her relationship with Uncle Julian? He spoke of Merricat as if she had died & Merricat in turn, had zero interaction with him, wouldn't go in his room, speak to him, anything?? Was it a guilt reaction? A choice imposed by Uncle Julian? Did he realize what Merricat had done & refused to have anything to do with her? I was never quite sure. All in all, a really fascinating book. So many examples of human psychology ~ I especially enjoyed Mrs. Wright who couldn't contain her curiosity about the poisonings & despite knowing "better," couldn't stop herself from wanting all the "gory" details. Uncle Julian happy to supply them. That was brilliant. This book is sure to hold up to the test of time! Since I'm a gardening enthusiast, the idea of recreating a garden filled with plants found in the Shakespearean era was very appealing and I enjoyed that aspect of the book. Learning the plant names, reading about laying out the parterres, designing the garden, etc. ~ all interesting subject matter to me & I suspect anyone else with the same shared hobby. An enchanting feature of the book absolutely worth noting was how each chapter was titled with the name of a plant. Lovely idea. Unfortunately, despite all those "shiny" points, the book wasn't as wonderful as I was expecting and I can't place my finger on why? Immediately upon starting to read, I realized it was a sequel which apparently I'd overlooked prior to ordering. I wouldn't say the story was lost on me for not having read the first book but it sure was referred to often. Also it was strongly reminiscent of books by Sarah Addison Allen (primarily thinking 'Garden Spells' here) in the way it eludes to the protagonist having magical connections to plants and their properties. The love story was sweet but felt a bit rushed, especially how it began. Andrew going from scowling, grumpy, anti-social behavior to caring, patient gentleman (almost overnight) was a bit much to swallow. Maybe I need and/or underestimated the power of 'heart's ease'? Also the "mystery" part of the book was not so much a mystery as it was deception(s). Family members not being forthright about information that could have resolved questions way before a couple of centuries passed. There were other things that didn't exactly ring "true" with me too but I'm not sure if it would be petty to line them all out? Except I do "need" to say all the "F" bombs seemed out of context considering the subject matter/nature of the book ~ or perhaps I have a heretofore undiscovered prudish nature?? I hope not! 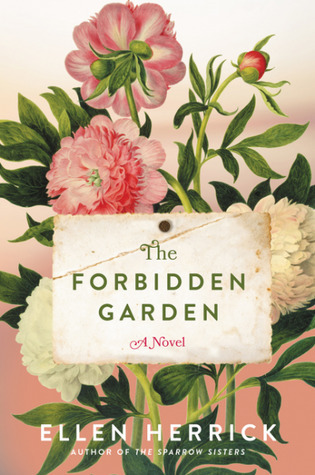 If you're not the kind of person who gets hung up on details and you're looking for an effortless read, maybe 'The Forbidden Garden' would be up your alley? I hope I haven't dissuaded you, it's not entirely without charms, it just fell a little flat for me. A bit sad because with more effort (some editing and tweaking) it could easily be a much better read. ** spoiler alert ** I have to quit reading these dystopian novels that scare me sleepless when I think about how quickly a free society can lose its freedoms. It didn't help that I was reading 'The Handmaid's Tale' right after listening to Madeline Albright, on a press junket for her new book, warning of Fascist signs in America today. She referenced a quote by Mussolini: "if you pluck a chicken one feather at a time, nobody notices." I can totally believe that. We're all so busy living our lives, we probably wouldn't notice small infractions at first. Offred mentions often in these pages, how much she wished she would have appreciated everyday things that seemed like another lifetime ago. Things she never dreamed she wouldn't have. A natural catastrophe, a complete assassination of gov't (from President thru Congress), then this: "That was when they suspended the Constitution. They said it would be temporary. There wasn't even any rioting in the streets. People stayed home at night, watching television, looking for some direction. There wasn't even an enemy you could put your finger on.” A statement of this nature elicits the same kind of fear in me that a scary movie does ~ once you put something out into the universe, whether it be fiction or not, it sparks the capacity to be real. Maybe it was always real (in somebody's head) just not in mine, but I can't shake it off either way. So I forego scary movies but books I can't seem to stay away from.. Curious that Offred, the narrator, never gives us her "real" name. She chooses to remain anonymous. I think that in itself is a statement. Something else that stuck with me was when the "Aunts" told her, "her group of women had it the hardest, for everyone after, it would be easier." They are the group that remember another whole way of life. I can't even imagine being forced into Offreds position after being college educated (such as she was) with a child (taken away from her) and the ability to live as she chose. How do you just "forget" the way you grew up & live under subjugation? It blows your mind thinking about it. I wanted Offred to find a way out, whether it be thru the Commander, Moira or someone else. But that wouldn't change the future for all the other women. What happens to her in the end is ambiguous. Nick tells Offred, "it will be okay" as she is taken away ~ is he really part of the 'Mayday resistance?' or not?? I'm not even sure who turned her in?? I have the first few episodes of the series on Netflix that I plan to watch now that I've read the book. I hope I can make it thru the entire series. 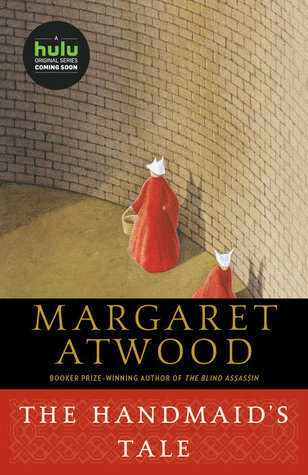 The message is hard, but books like 'The Handmaid's Tale' are necessary. The segregation (by clothing,) the hangings (why does history never rid itself of hangings? ), the dark underbelly (present even in this Theocratic society), all fear based ~ it won't be a light evenings entertainment, that's for sure. I'm glad I read this book tho, despite my worries about how realistic it could be ~ I get complacent as many people do & need reminders that the rights I enjoy are not a "given" or granted forever. It also makes me want to be less passive, so as never to end up an "Offred." I wonder if the author would be pleased about that response?? ** spoiler alert ** As soon as I opened this book, I was instantly sucked in. So many mysteries emanated from what, on the surface, seemed like an idyllic English countryside but in reality, was a churning hotbed of unresolved historical unrest. There was an unmanned Viking Longship that sailed up the local river without any wind, haunted converted barn homes that dated back centuries, a piece of exposed original flooring that provided a portal into the past, sorcerers practicing magic & worshiping ancient Gods, etc., etc. Sounds amazing, right? And it was all the way up to the end. This writer is killing me. She wove a beautiful story but when it came to the ending, Iyiyi!!!!! I can only suppose she assumed her readers enjoy wrapping all the loose ends in a book up by themselves ~ BUT I DON'T!!!! I want my ends tied in a bow, served on a platter, with no "sides" of ambiguity about them! Now I have to stew about what really happened and conjure up all sorts of scenarios in my head until I get a migraine from the process & the possibilities. Did the little "monster" neighbor girl end up in a psychiatric ward where she belonged?? Did the interfering, grave defiler, Rosemary die? or live?? (when the sorcerer declared the curse could be lifted because the debt was paid??) I loved the thrill & mysticism of the Viking Ship appearing in the river with the mists but why it was there didn't get wrapped AT ALL for me. 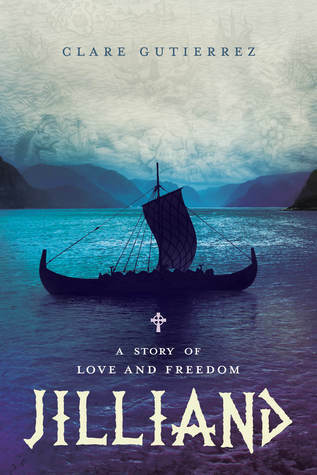 The Vikings came, they raided, they razed the village & they departed. Seemed pretty cut & dried to me? What then caused their souls to be so uneasy it kept them sailing back up the river instead of resting in peace? None of the three brilliantly intertwined stories involved a Viking ~ other than referencing the raid. Do you see what I mean??!! So there was closure on what happened to Daniel & Lady Emily, upon discovering their bodies ~ but that fantastical sword, removed toward the end of the story & then replaced, laid where it was supposed to for hundreds of years. Why then does replacing it back where it always was, suddenly give the river peace??? I *need* a one-on-one chat with the author! Seriously. 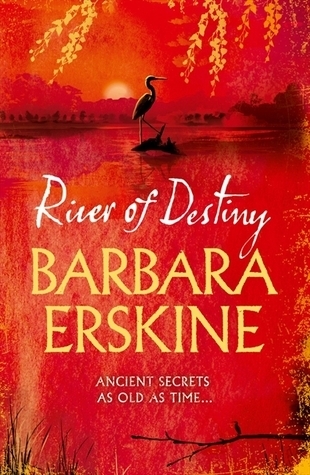 Ms Erskine wove three separate stories together, all taking place on the same piece of property over the span of approximately a thousand years ~ seamlessly. It really was a terrific read. She's an incredible storyteller, I just need her to refine the ending!!! I was 100% captivated & each time I had to put the book down, I couldn't wait to get back to it & discover the answers to all the paranormal happenings. I would have given it 5 stars except there were too many unanswered questions for me to click that last star. I guess I should be satisfied that Zoe got a happy ending and let everything else go....or maybe one of my GR's friends will read the book & interpret (twist the threads together) differently/better than I did? Anyone?? 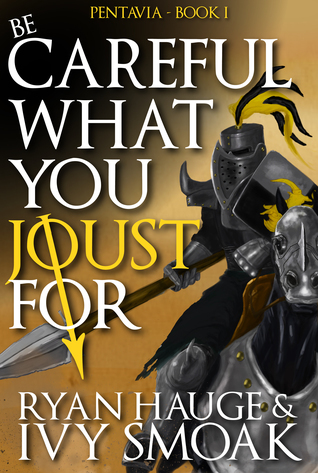 ** spoiler alert ** I received an ARC of 'Be Careful What You Joust For' in exchange for an honest review. For fans of medieval fantasy literature, this book's light entertaining style may be exactly the thing for you. It's an easy read, only 400+ pages, and nowhere near as complicated, detailed, intimidating or populated with characters as George R.R. Martin's epic 'Game of Thrones' series. Although there are many things about the book (maps, Houses, sigils, etc.) reminiscent of GoT's, there's no fear of confusing the two books. In truth, I haven't read much about medieval times so it's possible, any book written in this time period would necessarily have similarities. It gets a "pass" from me on those things based on that possibility. From the start of reading, I found relatable traits among almost all the characters ~ a second son committed by tradition to the priesthood but not wanting to go, a beautiful daughter torn by her emotions and feeling powerless over her future, a wife questioning the ethics & how well she knows her husband, a mischievous but endearing little sister, etc., etc. It seems like no matter what century, men still face a lot of the same plights and retain a lot of the same attributes. My favorite character was Bastian & his squirrel 'Nut.' The author does a great job conveying his charm and engaging style. His bold swagger at believing he could win the heart of a princess at first seems crazy, because of his current station as a thief, until it's revealed he was actually born into nobility. There's also a sense that he will eventually ride in, save the day & be the hero Oriana (and the rest of us) want. I hope that's the case. Some things I feel warrant additional exploration: the magic of the Rashidi from the desert (intrigued by his sudden disappearance into the door in the tree), Uncle Jax ~ definitely a man with immensely interesting stories to tell, why Lady Isolda was in the brothel business considering her status, Tobias (there are depths to him that were eluded to but not expanded upon), who messed with the lance points, just to name a few. I'm sure the next books will delve into those points further??? I would be remiss as a reviewer if I didn't discuss what to me was one of the most jarring aspects of the book, which was not keeping the characters vocabulary correct to the time period. To be reading along then suddenly chance across words like "weird," "gross," "scallywag," etc. was almost offensive to the readers intelligence. Even the reference to "mascara" caught me off guard & seems inaccurate to the setting?? I'm hesitant to critique any author who invests as much time & research into a literary work such as Mr Hauge & Ms. Smoak have done. However, having said that, why not go all the way & get it historically accurate? It would be a shame for such an easily correctable oversight to bring the book down. The story ended on a bit of a cliffhanger (with various other unresolved situations as well) which I'm sure will bring many readers back for the second book. I feel like anyone from Young Adults up, who have interest in this genre, would enjoy this lighthearted read as an escape from modern day life. What's interesting is, if he'd gotten diagnosed with brain cancer at the beginning of the book, when he abhorred/avoided human interaction, dying would have been much easier for him than it was at the end of the book. An observation I noticed while reading (maybe because I believe it personally) was that for every life that ended, a beginning was opened for someone else. Ponder on that for a moment. After A.J. 's first wife died, he found Maya, an event that snowballed into providing the fulfillment he ended up finding & enjoying later. Then A.J. 's death subsequently provided an opportunity for Officer Lambiase & Ismay to realize their own dream. A side thing I also really enjoyed (which reminded me of another book I read last year ~ 'The Readers of Broken Wheel Recommend') were the books A.J would recommend for reading (or reference) throughout the chapters. I love learning about books in that way ~ I'll actually stop in the middle of reading to look up particular titles. There were other side stories in the book but for me the standout points were the ones I mentioned above. 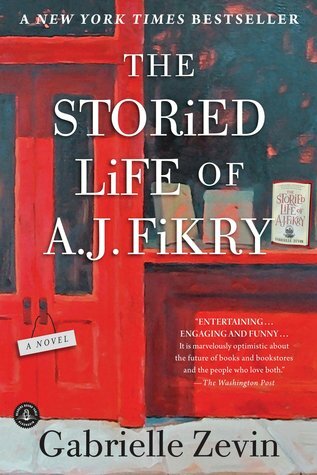 One thing I didn't like, it felt like Amelia & Maya's story wrapped too quickly after A.J. 's death. I don't know what else I wanted for closure (?) but something more than the way they were rushed off. It will be interesting to discuss in book club & hear everyone else's thoughts.